In the past few days, FIFA 19 has been going offline quite often. Hey comrades! As of this writing, the FIFA 19 servers are down yet again, but that can’t stop the FUT FM train from rolling into the station. Let’s jump into the state of the servers and let’s take a look at Zola, Suarez, and Flashback Gotze. The past week of FIFA has truly been one we’ll all want to forget one day. FIFA 19’s online went down, and the Weekend League got shifted by a day. Not extended, shifted. And admins deleted competitive rankings the other day. So anyway, people who made plans around the WL were rather screwed, and people trying to get verified have been hit hard as well. Now not only did the WL get shifted, but the servers have kept going down throughout it. Players rejoiced when they found matches but were quickly back to being frustrated by lots of lag and input delay. Why are the servers going down now instead of around launch, when the game would have been serving a massive amount of players? Has the constant load proven to be too much? Was there a server transition that went wrong? Are there third party factors affecting the situation? 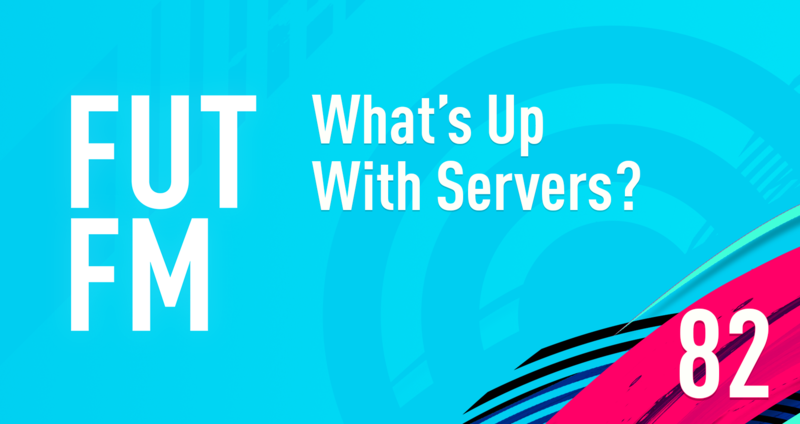 We could speculate endlessly of course, but the main point is that we are currently having FIFA 17 levels of server problems. Hopefully this is just a very small blimp on the radar and doesn’t become the norm. 85 rated Zola is one of the best Icons in FIFA 19 right now. Don’t his overall fool you, he’s got attributes in all the right places for a goalscoring cam, or a full on striker. Although his vision is low, it doesn’t seem to affect him very much. Pick this card up instead of Del Piero, he’s way cheaper! Moving on to Suarez, he continues to be the best NIF pure striker in FIFA for me. Slap a hunter on that bad boy and enjoy the perfectly aimed and weighed shots he has. Now of course he continues to get nerfed, but Suarez is still a beast. His long shots could be better but despite that, he remains one of the most consistent edge of/in the box finishers. Now let’s talk about Flashback Gotze. He’s got plenty of awesome attributes, but his low stamina prevents him from being a truly great player. You may enjoy him for a month, but you’ll never get those 84 rated players back. Save them for another SBC or simply sell them when prices are good. CR7 - Valerio got him. Do you really need any thoughts on CR7 :D? He’s very good. And that brings us to the end of today’s show comrades! Don’t forget to subscribe to FUT FM on Apple Podcasts/Google/Spotify so you don’t miss the latest episode, cheers.